Deciding to move your parents to Assisted Living is a big decision. It’s really important that your parent views this move as a way to continue to thrive and live independently. Therefore, baby boomers must do their best to communicate how the move will be beneficial for their parent’s overall health, safety and happiness. You having this ongoing conversation coupled with these steps can make your parent or family member’s transition to a senior community a little easier. Planning a big transition like this can take a lot of work. Include your parent or family member in the decision making process so that they feel involved. If you make all the decisions alone it could lead to tension. Encourage your loved one to keep an open mind to help make this process smooth. This transition can sometimes be brought on by a death of a spouse or declining health. Regardless of the situation, it is important to stay positive and reinforce the outcomes of the change. While planning, it is helpful to do this in an uplifting, neutral environment where you can casually discuss the topic with your loved one. 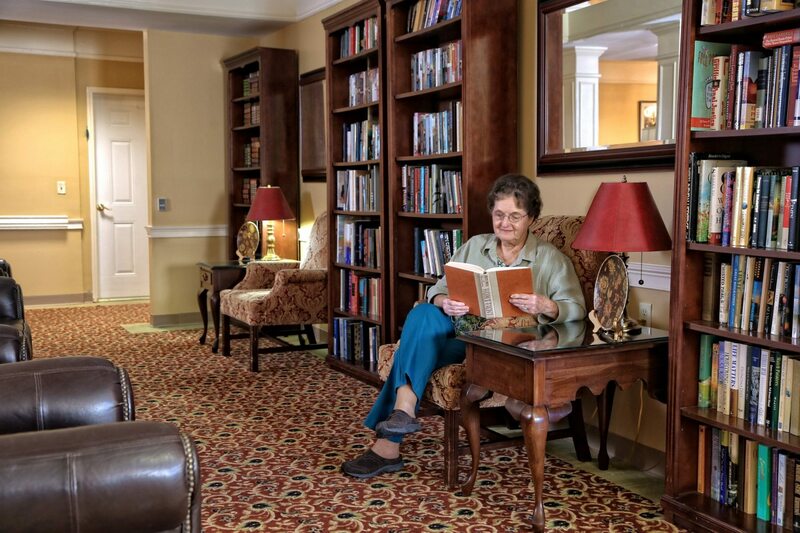 It’s important to know what types of social activities are offered in order to get your parent or family member excited to live in an assisted living community. Focus on the opportunities available to meet friends while participating in a wide range of new experiences. It’s important that you visit the community before the actual move in and establish a regular visitation schedule. You should plan to attend activities with your loved one to make sure they are getting involved. Remember, it takes an average of 30 to 90 days for the senior adult to adjust to their new home. You need to have a constant channel of communication with both your parent and the team at the assisted living facility. This will allow you to know what’s working and what isn’t so you can make adjustments on a month to month basis. These adjustments will help increase the quality of your parents living experience and their transition to Assisted Living. Hopefully these steps will ease any stress that you or your loved one may have regarding transitioning to Assisted Living. We also offer In Home Care. for those not ready to make the full transition to Assisted Living. If you have any questions you can always reach us by phone or email on our contact page.